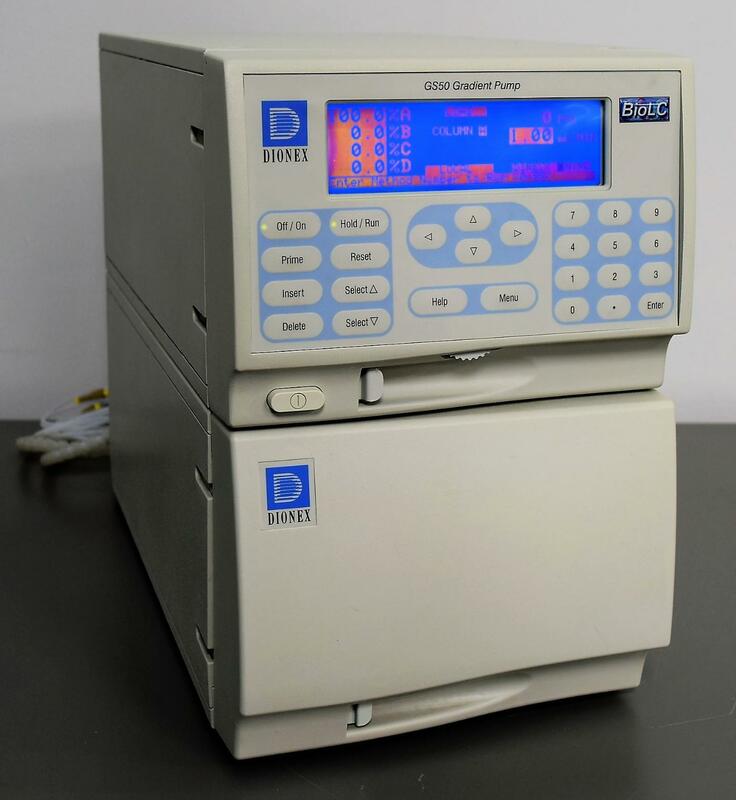 Dionex GS50 Gradient Pump HPLC Dual Degasser Variable Speed wit DX-LAN Port . New Life Scientific, Inc.
Our in-house technician inspected and tested this Dionex GS50 Gradient Pump, confirming it to be functional. Technician tested the Dionex GS50 Gradient Pump and noted it passes all diagnostic self-testing. Technician implemented a method with 25% on 4 sources, flow rate of 5mL/min., and noted pumps and solenoids are functional.